Our hard-earned reputation for excellence is in evidence whenever I appear before courts to request approval of a case resolution. 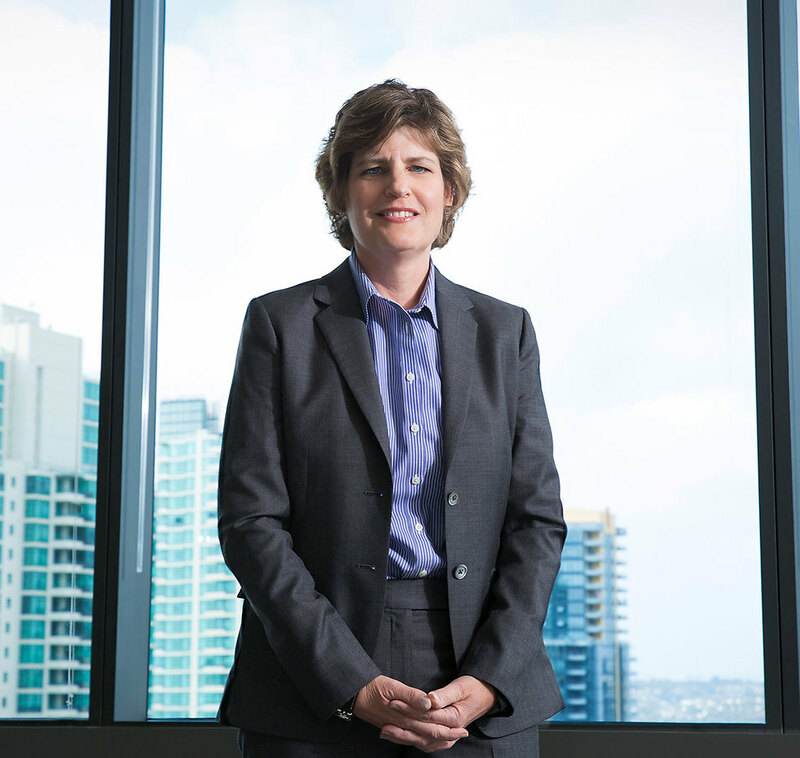 Ellen Stewart is a partner in Robbins Geller Rudman & Dowd LLP’s San Diego office, and is a member of the Firm’s Summer Associate Hiring Committee. She currently practices in the Firm’s settlement department, negotiating and documenting complex securities, merger, ERISA and derivative action settlements. Notable settlements include: KBC Asset Management v. 3D Systems Corp. (D.S.C. 2018) ($50 million); Luna v. Marvell Tech. Grp. (N.D. Cal. 2018) ($72.5 million); Garden City Emps.’ Ret. Sys. v. Psychiatric Solutions, Inc. (M.D. Tenn. 2015) ($65 million); and City of Sterling Heights Gen. Emps.’ Ret. Sys v. Hospira, Inc. (N.D. Ill. 2014) ($60 million). Stewart has served on the Federal Bar Association Ad Hoc Committee for the revisions to the Settlement Guidelines for the Northern District of California and was a contributor to the Guidelines and Best Practices – Implementing 2018 Amendments to Rule 23 Class Action Settlement Provisions manual of the Bolch Judicial Institute at the Duke University School of Law. Stewart earned a Bachelor of Arts degree from Muhlenberg College and a Juris Doctor degree from Case Western Reserve University.